A lecture at the 2013 National Jewish Retreat in Alexandria, VA. In an op-ed published in The Times of Israel, Shelley Civkin revealed what she believes is the best kept secret in the Jewish world. 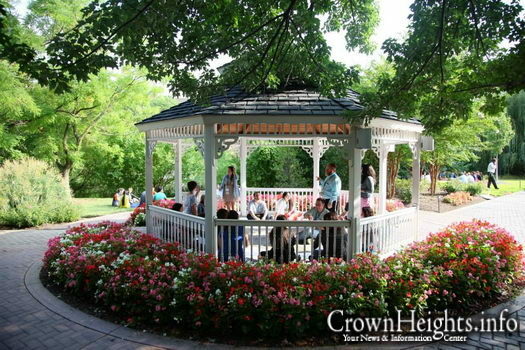 The Rohr Jewish Learning Institute (JLI) is undoubtedly the best-kept secret in the Jewish world. 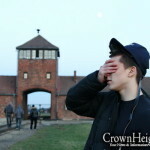 Founded in 1998 by philanthropist George Rohr, and described as the “largest Jewish education network in the world”, JLI lives up to its claim of “Real learning for real life.” Whether you’re a new explorer on the path to Yiddishkeit, a fully committed Orthodox Jew, or a somewhere-in-between Jew, JLI’s classes and programs should be mandatory. Defined by excellence and passion, the Jewish Learning Institute is a leader in its class. The humble giant that calls itself JLI, is unquestionably the key that opens all doors to Jewish literacy, education, and religious continuity. From weekly Torah study classes, to six-week intensive standalone courses, to the fabulous annual National Jewish Retreat, JLI programs have no ‘best before’ date. The learning is always relevant, always dynamic and unquestionably transformative. That’s why thousands of Jewish adults and young adults keep coming back for more. Jews of all affiliations are welcomed warmly into the JLI family. 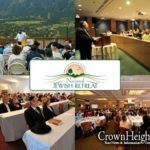 Without question, the National Jewish Retreat is the crown jewel of the Jewish Learning Institute. This past August, I indulged in six intense days of learning at the Retreat in Palm Springs, and returned spiritually refreshed. Deeply inspirational, yet highly practical, the 30 classes I attended helped continue to build the foundation that my Jewish life was lacking. My connection to Judaism was solidified, my soul animated, and my body well-fed. Led by world renowned scholars and educators, the smorgasbord of courses at the National Jewish Retreat ensured that topics were accessible to all. Is there something magical about the Jewish Learning Institute? You bet there is! But not in the sense of illusion or wizardry. JLI is the real deal. As a direct result of its variety of offerings, JLI resonates deeply within the souls of Jews who participate. I know, because I’ve seen it in action. 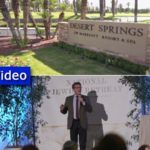 Why else would 1,600 Jews gather in Palm Springs in 110-degree weather to learn for six days at the National Jewish Retreat? It’s all about building and sustaining commitment to Judaism and Jewish values. At the risk of sounding cliché, my life has been given a sense of meaning and purpose it never had before I engaged with JLI and Chabad. It’s the best shidduch I could ever imagine! It’s said that a spark of the Divine lives within every Jew. What the JLI does is transform that spark into a raging flame of excitement for Yiddishkeit. For Jews who learn best outside the classroom, intellectual and spiritual growth are available at the click of a mouse, via the Torah Café, JLI’s online learning division. There, you can listen to brilliant Jewish minds analyze concepts from Torah, or share insights that relate to our daily lives on a personal level. The breadth and scope of topics and content are mind-numbing. The Jewish Learning Institute isn’t bragging when it calls itself “the world’s preeminent provider of Jewish learning.” It really is. It’s the most effective educational vehicle I’ve ever come across. Facilitated by highly trained Chabad Rabbis and Rebbetzins, JLI is able to extend its impactful curriculum and outreach to thousands of people every year. Once you take a JLI course, I guarantee your mind and heart will be propelled to greater heights. And from that, springs Jewish continuity. Whether you’re a Conservative, Reform or Reconstructionist Jew, rest assured that Chabad is not a four-letter word. They’re the most sincere, welcoming group you’ll ever meet. No one who attends a JLI program at a Chabad center ever feels like a ‘stranger in a strange land’. Everyone is welcomed wholeheartedly, and you get the feeling that this is where you’re meant to be. And of course, the programs are always meaningful. As one of the speakers at the Retreat said: “You don’t choose Judaism. Judaism chooses you.” No truer words. The JLI makes you feel like you belong, like you’re family. The world needs more JLI.